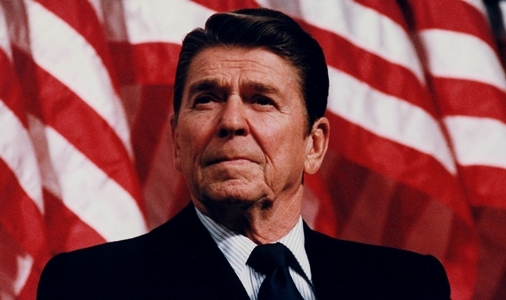 Thursday (June 5) marks the 10th anniversary of President Ronald Reagan’s passing and a look through the MRC’s archives shows that during his presidency many in the liberal media couldn’t withhold their contempt of the conservative icon. — Peter Jennings talking to co-host Charles Gibson on ABC’s Good Morning America, June 10, 2004. — Beth Fouhy in an AP story headlined: “Many Still Troubled by Reagan’s Legacy,” June 9, 2004. — CNN’s Larry King Live, June 14, 2004. — ABC’s Richard Threlkeld reporting from a section of Miami where there had been riots, on World News Tonight, January 20, 1989. — Sam Donaldson to Robert Dole on This Week with David Brinkley, Feb. 21, 1993. — Bryant Gumbel to Dr. Richard Corlin of the American Medical Association, March 31, 1993 Today. — Reporter Kevin Fagan in the June 10, 2004 San Francisco Chronicle. — ABC’s Sam Donaldson, who covered the White House during the 1980s, on Good Morning America, June 11, 2004. — UPI White House reporter Helen Thomas in the July 1993 Good Housekeeping. — Richard Fausset in a Los Angeles Times story headlined “For Some, Unpleasant Memories: Blacks, gays remember Reagan with bitterness, saying he neglected the poor and lacked leadership as the AIDS epidemic exploded.” June 9, 2004. — CNN’s Anderson Cooper during a segment on the Reagan administration’s handling of AIDS aired on CNN’s Anderson Cooper 360 June 8, 2004. — CBS Sunday Morning TV critic John Leonard, September 5, 1993. — Kirk Johnson in The New York Times, August 27, 1989. — NBC reporter Maria Shriver interviewing AIDS sufferer Elizabeth Glaser, July 14, 1992 Democratic convention coverage. — Time’s Strobe Talbott on pre-Olympics U.S.-Soviet relations, May 21, 1984 issue. — Commentator (and former anchor) John Chancellor on the November 20, 1990 NBC Nightly News. — Time Editor-at-Large Strobe Talbott on Inside Washington, September 21, 1991. — Newsweek’s Eleanor Clift on The McLaughlin Group, January 15, 1994. — CBS’s Bill Plante on the June 7, 2004 Evening News. — Keith Olbermann on MSNBC’s Countdown, June 7, 2004. — CNN’s Wolf Blitzer asking reporter Thelma Gutierrez about the crowds at Reagan’s presidential library during live coverage on June 8, 2004. — During ABC News’ live coverage on June 9, 2004. — Exchange during ABC’s live coverage of Reagan funeral events on June 11, 2004.